H&R Block (“HRB”) is a partner with the various military branches and offers a scholarship providing FREE Income Tax Course (ITC) for military spouses and wounded warriors. We consider military spouses and wounded warriors excellent candidates because they typically have an excellent work ethic and have experience with military life situations. In the event of a permanent change of station (PCS), our global presence provides military spouses an opportunity to continue employment with another HRB office almost anywhere an HRB office is located; which is great for the military spouse employee and H&R Block. While employment is not guaranteed, the Income Tax School scholarship is provided to any military spouse or wounded warrior fitting the defined criteria described below. Who is Eligible for the Scholarship providing FREE Income Tax Course? Any I.D. holding military spouse of an active, retired or reserve military service member, Wounded Warriors (as defined by the DoD) and the wounded Warrior’s spouse are eligible. Active Duty service members are not eligible for this scholarship, but can choose to attend classes if they wish to pay the required tuition. The local Employment Readiness Program Managers (ERPM) or Employment Readiness Specialists (ERS) should verify the eligibility potential students’ before referring them to an H&R Block to register for the tax course. An additional verification of status will happen at the site of the course, so eligible candidates must have their military I.D. available. H&R Block offers a Scholarship that provides FREE Income Tax Course registration and covers tuition.  Although we would like to hire a large percentage of eligible military spouses and wounded warriors, there may be situations that prevent candidates that have completed the course to be immediately hired with a local HRB tax office. Each situation will be examined on an individual basis. Obtain the scholarship certificate with valid code from your employment services on your installation. Call 1-800-HRBLOCK (472-5625), enter zip code when prompted to be routed to an operator that will help you register for classes in your area. When speaking to the operator, tell them you are a military spouse and provide the code located on the Scholarship certificate. The operator will be able to inform you of the schedule of classes to find the course that best fits your schedule. On your first day of classes, bring the scholarship certificate with you along with your military ID, as these items will be needed to verify your status as an eligible military spouse or wounded warrior. The code provided on the scholarship coupons will be used to identify any student who takes the Income Tax Course as a military spouse or wounded warrior. This code is ONLY VALID to I.D. carrying Military Spouses and Wounded Warriors. The coupon code changes every season, so potential students will not be able to use a previous year’s coupon for the current year’s Military Income Tax Course. This year’s coupon code is 94b25d. Any Employment Readiness office staff can call 1-800-HRBLOCK (472-5625), enter zip code when prompted to be routed to the nearest HRB district office. When speaking with the office, explain who you are and ask to speak to the District Manager (DM). The DM will be able to provide you the Scholarship Certificate and flyers (if needed). Recruitment and registration for new students starts in July and classes will start in late summer and go through November. Registration will end at the beginning of September. Consult with the local DM to get the schedule of classes for the upcoming season. Note: Because Income Tax Course registration occurs from June through August, potential students must be registered before classes begin in September to be eligible to begin working as a Tax Professional with H&R Block in January. Availability: Scholarship is available only in participating locations. Not available in the states of Arizona and Tennessee or where restricted by local state law.